From 1st October 2008, all rental properties in England and Wales have needed an Energy Performance Certificate (EPC). 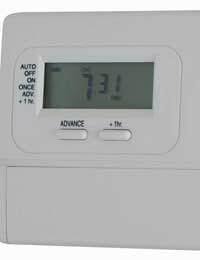 From April 1, 2018 by law all landlords must have an energy performance rating of E before they are allowed to let out their property. An EPC allows any prospective tenants who are considering renting your property to tell straight away how energy efficient the property that you’re letting is. It pays to make sure that you’ve done as much as possible to put energy saving measures in place, as properties that show up as not being energy efficient are more likely to be overlooked by prospective tenants concerned about the environment – and their own fuel bills. It’s a certificate that rates the overall energy efficiency and environmental impact of your property on a scale from A-G (where A is the most efficient and G the least efficient). The certificate will also highlight the heating, water and lighting costs of the property as well as any recommendations for improving the energy efficiency. To get an EPC, either you or your letting agent will have to apply yourself or your letting agent will have to go to an accredited Domestic Energy Assessor. An assessor will visit the property and assess its age, construction and location, then look at heating systems, quality and type of insulation, whether the property is double glazed – and other issues that relate to the overall energy efficiency. The cost of an EPC varies, but can be anything from £40 - £120. Where can I find out how energy efficient my properties are?The Energy Saving Trust can carry out personalised Home Energy Check reports for you – and these are done free of charge. Visit energysavingtrust.org.uk for more information. The most cost effective thing you can do is investing in good insulation. Installing new loft insulation is usually an easy and relatively inexpensive job. When you fit insulation, make sure it’s to a depth of at least 270mm. If the boiler in your property is over 15 years old, you should think about replacing it. You get an improved energy efficiency rating if the heating system is updated at the same time to include modern energy saving controls. Also, fit a jacket to your hot water tank. Double glazing can also help improve the rating as it reduces noise and helps to keep heating bills down. Make sure that any appliances you buy to leave in the property have the Energy Saving Recommended logo, and try to choose the most energy efficient makes possible. Can I Get Any Help With The Cost? There are grants available, which anyone can apply for. Some of these can cut the cost of installing energy saving costs immensely. To find out if you might be eligible for help with the cost, visit; est.org.uk/myhome/gid If your tenants are in receipt of benefits you might be able to get a significant discount on having your property insulated – sometimes it can even be done free of charge.